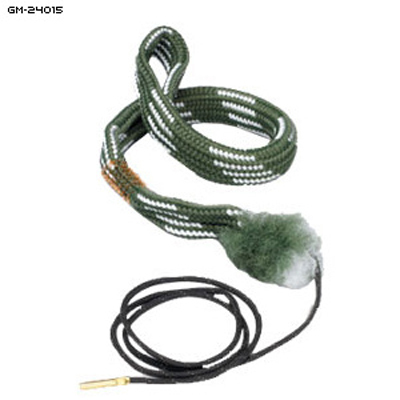 Hoppe's BoreSnake is the fastest bore cleaner on the planet. One pass loosens large particles, scrubs out the remaining residue with a bronze brush, then swabs it all spotless with a cleaning area 160x larger than a standard patch. Brass weighted drop-through cord slips easily down barrel. - The world's quickest, three-step bore system. - Brass weight on the pull cord is stamped with the size. - Machine washable and reusable.